Worldwide, but most diverse in the temperate regions of the Northern Hemisphere. Koch, F. 2003. 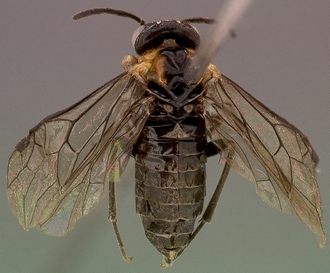 A new species of Athalia Leach (Hymenoptera: Symphyta: Tenthredinidae) from southern Africa, with notes on its phenology. Cimbebasia 18: 19-30. 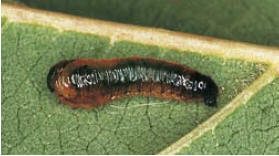 Tenthredinidae) from South Africa. 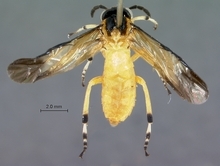 Proceedings of the Entomological Society of Washington, Washington 113 (4): 442-450. Mocsáry, A. 1909. Chalastogastra nova in collectione Musei nationalis Hungarici. Annales historico-naturales Musei Nationalis Hungarici, Budapest 7: 1-39. Opitz, S.E. W., Boevé, J.-L., Nagy, Z.T., Sonet, G., Koch, F. & Müller, C. 2012. 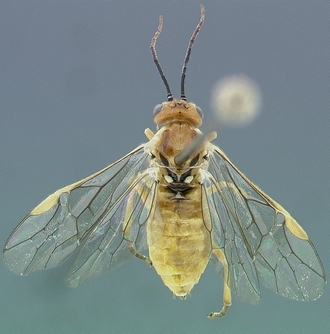 Host shifts from Lamiales to Brassicaceae in the sawfly genus Athalia. PloS ONE 7(4): 1-18. e33649.doi:10.1371/journal.pone.0033649. 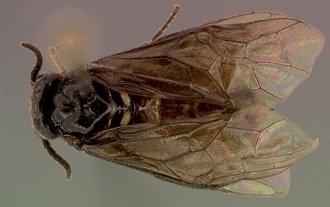 Photographs © Simon van Noort (Iziko Museums of South Africa) or Photographs © Andrew D. Liston (Senckenberg Deutsches Entomologisches Institut).